Home / Columns • JM • RIP / RIP! JM Remembers The Awesomeness Of Lemmy From Motorhead! Plus Meeting The Iconic Singer! Autographs! And More! RIP! JM Remembers The Awesomeness Of Lemmy From Motorhead! Plus Meeting The Iconic Singer! Autographs! And More! We lost a true music pioneer. 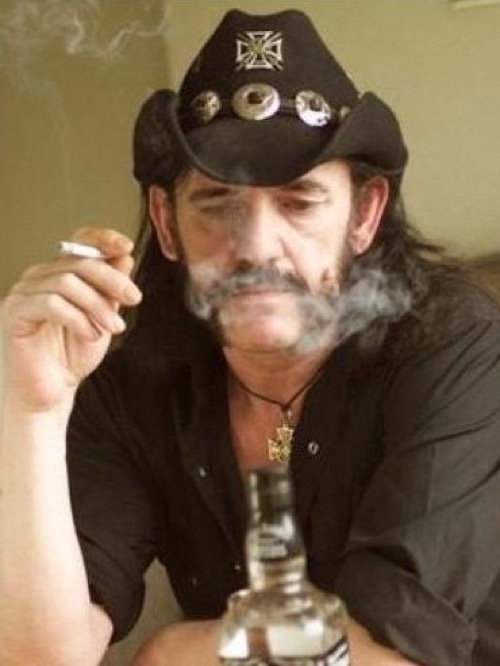 Lemmy from Motorhead passed away after a battle with cancer. Motorhead was one of the most influential rock bands of it’s time. It’s a sad day for music fans everywhere. JM really wanted to post an article about how much Motorhead and Lemmy meant to him. Yesterday, the music world lost a living legend after iconic singer Lemmy from Motorhead succumbed to cancer. For four decades, heavy metal’s hard partying king left an insurmountable impression on countless music fans worldwide. His renowned vocals and sheer presence will be missed most of all. 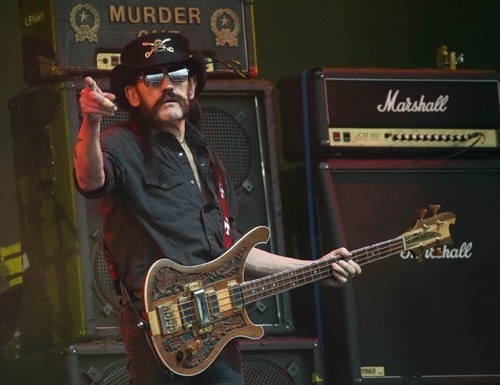 Born Ian Fraser Kilmister, Lemmy lived hard and loud for 70 glorious years. The renowned British singer and bassist first came to the attention of music fans with the band, Hawkind, however it was after being fired that he truly left his mark on the world. 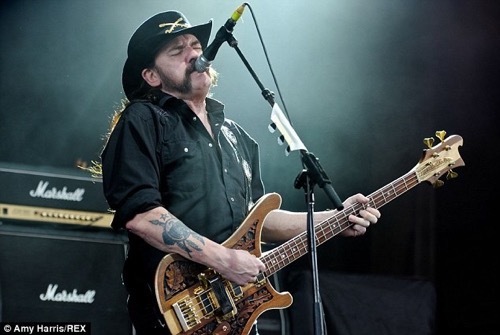 To date, Motorhead has sold over 15 million albums worldwide and until Lemmy’s untimely death, one of the most universally recognized heavy metal bands still performing today, including critically acclaimed sets at this year’s Coachella. Thanks to their unique sound, Motorhead helped revitalize heavy metal in the late 1970s and early 1980s, ushering in the New Wave of British Heavy Metal. If that wasn’t enough, Lemmy’s awesome attitude attracted an assortment of fans, and was one of the main reasons why everyone loved him. 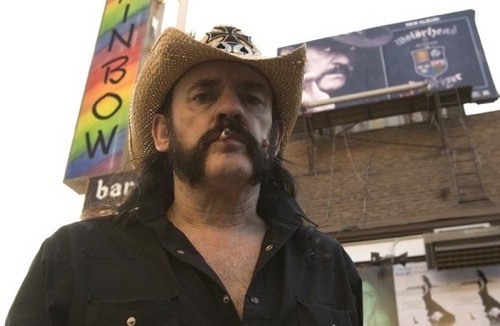 Lemmy was one of the most down to earth people you could meet and if you lived in Los Angeles, chances are you saw him hanging out at the Rainbow Bar & Grill. For decades, Lemmy was a fixture playing in front of his favorite video game drinking Jack & Cokes there whenever he was in town (He lived right up the street from the Rainbow Bar & Grill). 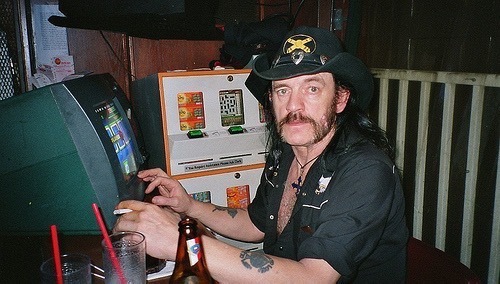 For years, I always hoped to randomly bump into Lemmy playing his videogames or drinking his signature drink at the Rainbow. Sadly, that never came into fruition, but I did meet the living legend once. Upon learning of Lemmy’s passing I texted Mike to see if anyone was writing anything up. Fortunately for me I was the first to ask and decided to tell my tale of meeting Lemmy. 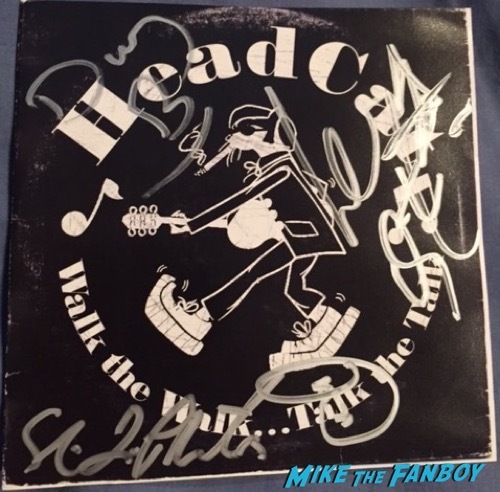 About four years ago, a signing occurred at Amoeba Records in Hollywood involving rockabilly supergroup, which featured Danny B Harvey, Slim Jim Phantom (The Stray Cats) and Lemmy. If you didn’t realize Lemmy was involved, most people probably (and did) ignore the event. During my tenure writing for a music publication I first came across their unique sound while researching another band and immediately fell in love with their music. Realizing I could attend I immediately circled the date on my calendar and patiently waited for the day to come. To my surprise there was little fanfare, yet a strong heavy metal presence waiting for the band to come out to sign copies of their latest HeadCat album. 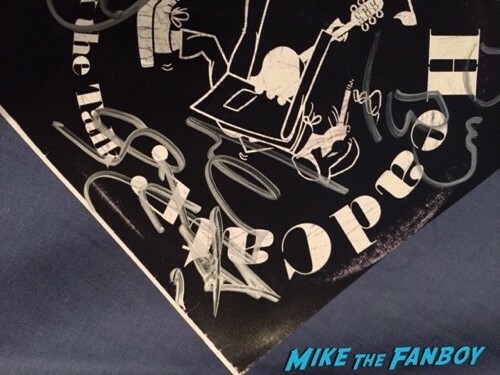 Although we were told the band would primarily just sign only their album, several of us realized this was a great opportunity to get an alternative or even an additional item signed. A few people in front of me had Lemmy sign some Motorhead stuff and he seemed to be having fun with every interaction as were Slim Jim and Danny. I got to talk with Slim Jim for a hot second about The Stray Cats and then it came. 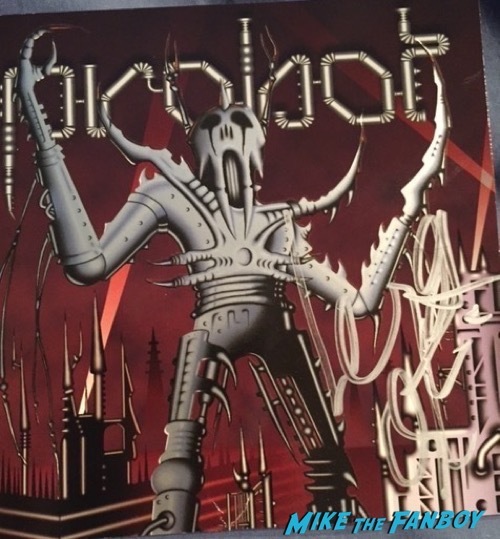 I rambled on about how hearing Ace of Spades introduced me to Motohead and how his collaborations with Dave Grohl, especially the Probot album, was unreal. Lemmy was cool with me fanboying out and was just as cool as you imagined. I graciously asked if he could also sign my Probot album and he let out a “Sure,” which just made my day. Lemmy, you were one of the coolest celebrities I have ever met and you will be truly missed. Thanks for all of the fun memories and for being one of most down to earth rockstars a music fan could ever meet. Tags:fans meeting Lemmy Motorhead, is Lemmy Motorhead nice?, Lemmy Motorhead, Lemmy Motorhead autograph, Lemmy Motorhead autograph movie poster, Lemmy Motorhead autograph photo, Lemmy Motorhead autograph poster, Lemmy Motorhead candid, Lemmy Motorhead fan photo, Lemmy Motorhead fansite, Lemmy Motorhead greeting fans, Lemmy Motorhead is nice, Lemmy Motorhead meeting fans, Lemmy Motorhead rare photo, Lemmy Motorhead RIP hot, Lemmy Motorhead RIP Lemmy Motorhead red carpet, Lemmy Motorhead RIP signing, Lemmy Motorhead signature, Lemmy Motorhead signed, Lemmy Motorhead signed movie poster, Lemmy Motorhead signed photo, Lemmy Motorhead signed poster, Lemmy Motorhead signing, Lemmy Motorhead signing autographs, Lemmy Motorhead signing autographs for fans, Lemmy Motorhead talking to fans, RIP Lemmy Motorhead, RIP Lemmy Motorhead fan photo, RIP Lemmy Motorhead red carpet, RIP Lemmy Motorhead signing autographs, RIP Lemmy Motorhead signing autographs for fans, RIP signing autographs, where can I get Lemmy Motorhead ’s autograph?, where is jordana brewser? RIP Harry Anderson! Remembering The Night Court Star And All The Laughs He Brought US! Remembering Michael Johns! RIP! Suddenly Susan Talks About Meeting The American Idol Star! Paul Walker RIP! Lindsay Shares Her Experience Meeting The Fast And Furious Star And An Amazing Memorial! Meet me in St. Louis for Wizard World Comic Con St. Louis! Lord of the Rings reunion! Stars from Harry Potter and Wonder Woman! Ken: Sorry to hear he didn’t sign a few weeks ago, but after hearing of his recent health issues (I believe in last year’s Rolling Stone article) I knew it was a matter of time. Fortunately for fans, he was really awesome over his lifetime. Still, Motorhead will live on!